The Kings Subbasin GSAs are moving forward with option 3, and as such will be entering a formal coordination agreement to achieve subbasin alignment towards sustainability. The seven Kings Subbasin agencies have agreed upon an initial overdraft amount for the Kings Subbasin of 122,000 acre feet (AF). 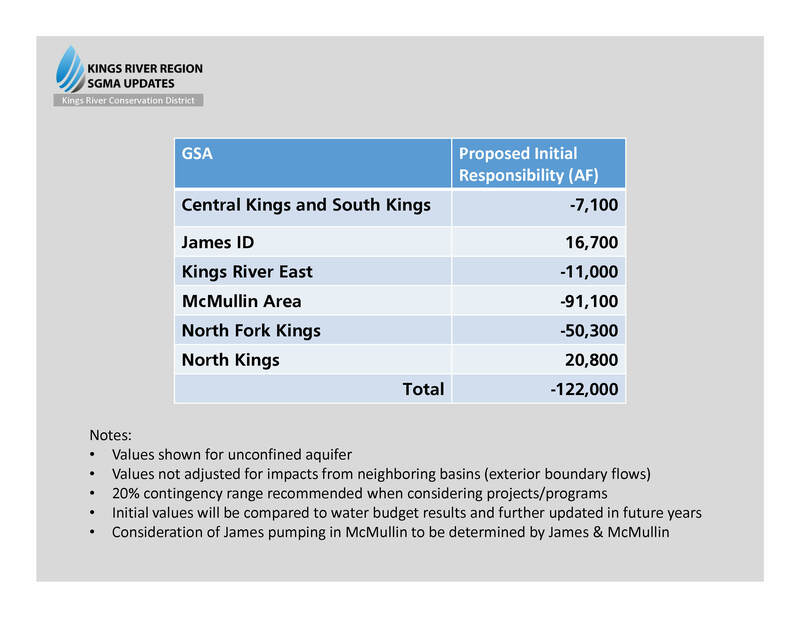 The table below (click to enlarge) shows the agreed upon initial target overdraft amount for each GSA. 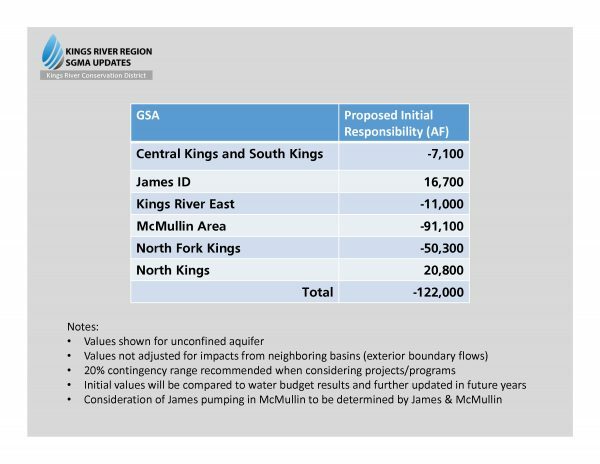 The McMullin Area GSA is responsible for 91,000 AF of the total subbasin amount. The GSA will work to correct the target overdraft amount by the SGMA sustainability deadline of 2040. 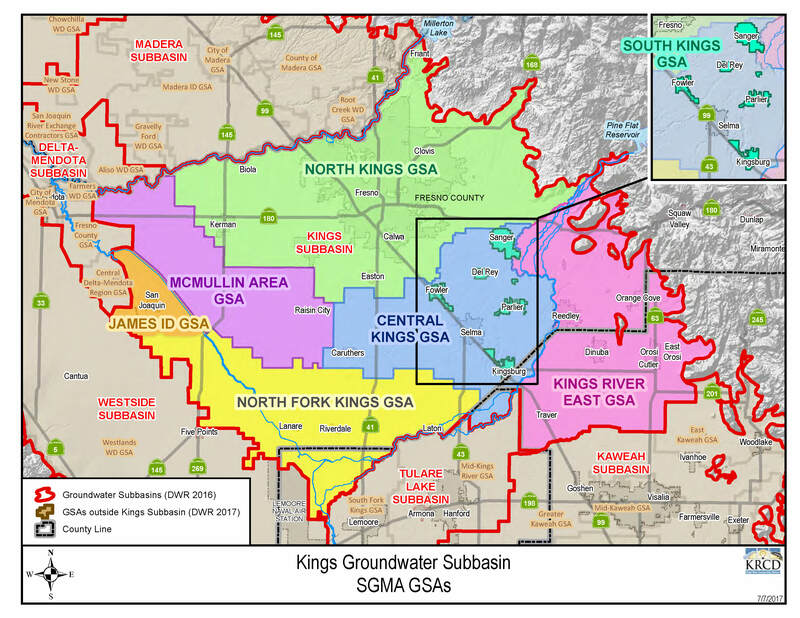 If you are interested in receiving periodic updates about SGMA implementation in the Kings and Tulare Subbasins, sign-up below to be included on the distribution list for the Kings River Region SGMA Update E-Newsletter.